The effects of Brexit on businesses and logistics have been hard to precisely pin down since the UK voted to leave the European Union back in 2016. However, businesses, economists and politicians have all made various claims about what they believe the Brexit impact on trade between the UK and EU might look like. Thankfully, the UK government has attempted to dispel some of the confusion surrounding the Brexit consequences in a ‘no deal’ scenario. On the 23rd August 2018, the UK government published a number of white papers on Brexit and logistics which will help businesses to understand the issues they’ll face in the wake of a ‘no deal’ situation. 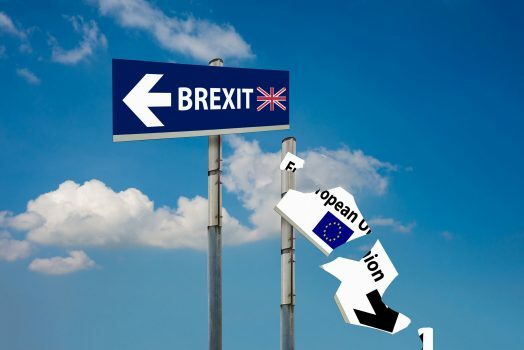 At Smart Directions, we’ve been carefully planning our own Brexit strategy to minimise the disruption our customers will face if a deal isn’t reached. To speak with an experienced member of our team about Brexit and logistics for your business, please contact us now. In a ‘no deal’ scenario, UK businesses importing goods from the EU should expect mandatory import declarations, customs border checks and customs duty charges. In essence, businesses will be required to follow the same customs rules that are in place for trading with non-EU countries at the current time. Choose the correct classification for the value of their goods and enter this into their declaration. Learn more about tariffs here. For businesses looking to export good to the EU in a ‘no deal scenario, it will be required that they follow the same customs procedures currently in place when exporting to a non-EU country. While the Brexit consequences for logistics and trade aren’t set in stone, there’s a possibility that businesses will need to take the steps we’ve listed if importing from or exporting to the EU. In our next article, we’ll outline how business can work to mitigate the effects of Brexit on their logistics operations. However, if you’d like to speak with a highly-qualified member of our team about developing a logistics strategy to help your business weather a ‘no deal’ Brexit scenario, please get in touch with us today.